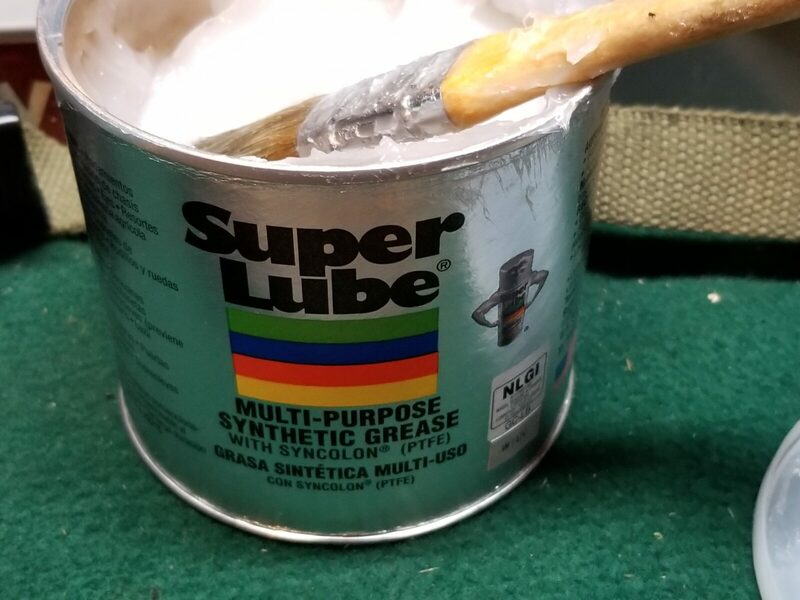 In an earlier post, I mentioned that I have switched to using Super Lube Multi-Purpose Grease on my firearms. 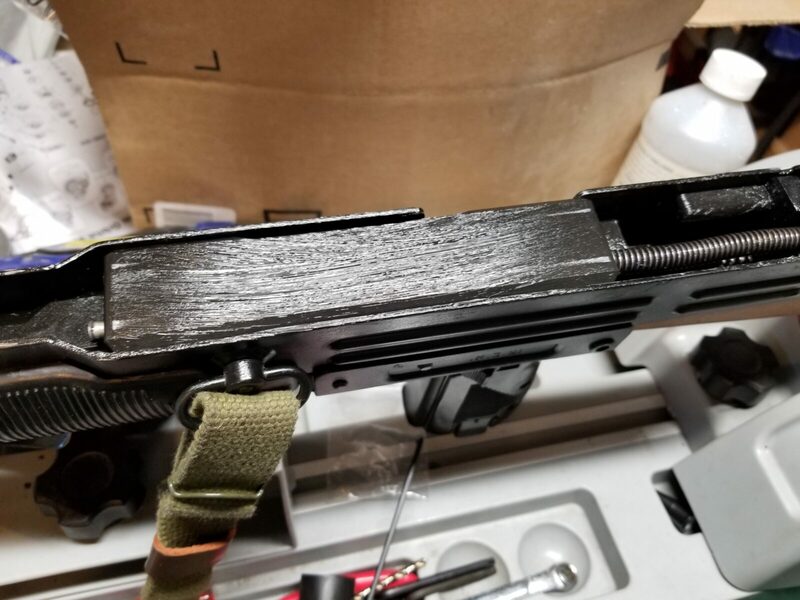 One of my test platforms was a semi-auto Uzi I built using a McKay receiver and McKay closed bolt group. 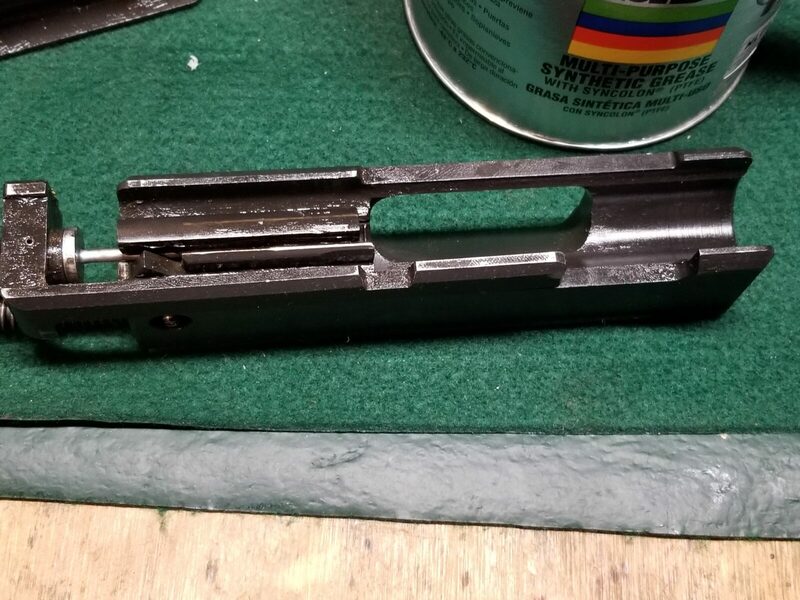 To legally build a semi-auto Uzi, you need to run a closed bolt system vs. the original open bolt. Now the open bolt design was the picture of simplicity albeit with a pretty big bolt. The closed bolt system uses a striker, and while a little more complex, it has a lot of moving surfaces that are parkerized. This means they are relatively rough and need to wear in plus they need serious lubrication during this period. 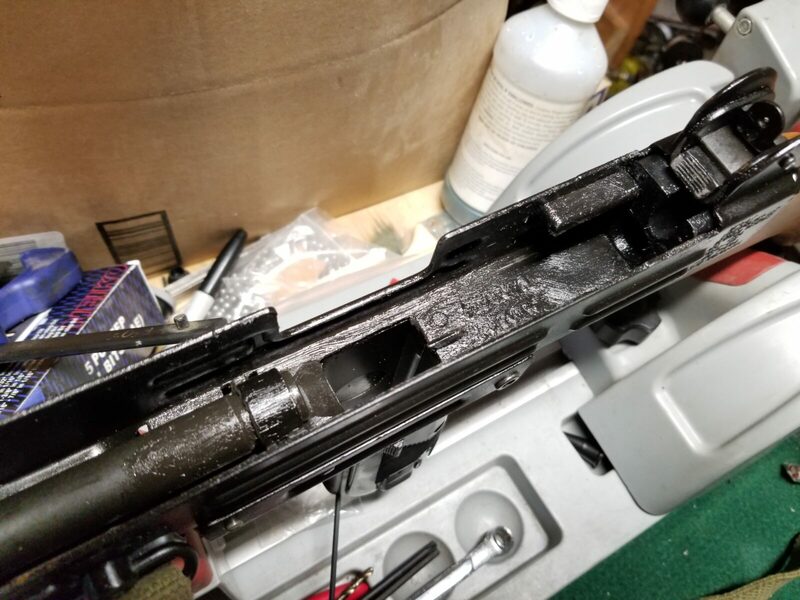 My experience with my Uzi was that oil alone didn’t cut it. 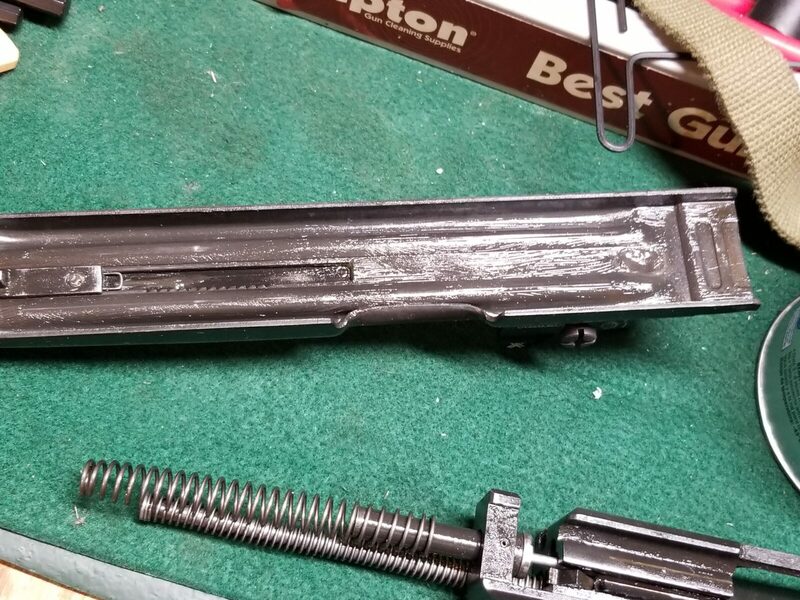 Once I moved to using a 1″ chip brush and applying a light layer of Super Lube all over the bolt, striker and insides of the receiver and top cover, the reliability sky rocketed. At this point, it has worn in fairly well and the action cycles very easily. 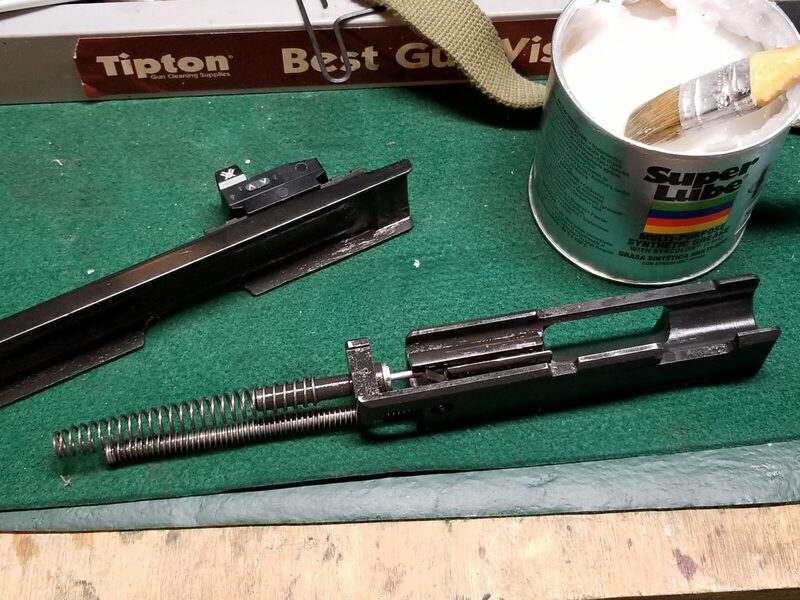 My recommendation to anyone building a semi-auto Uzi is to use Super Lube Multi-Purpose grease both during break in and for ongoing lubrication of the bolt and striker system. I use regular oil on the fire control group. I hope this helps you out. 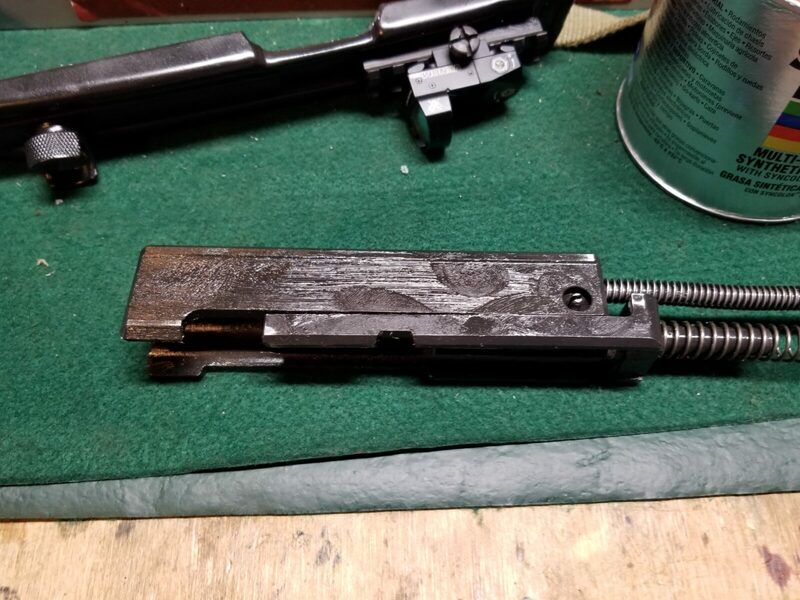 It made a world of difference with my Uzi.